What's to LOVE about Lewisville, NC! I had the pleasure of growing up in Lewisville, NC and still reside in it today! I love the small town feel yet being minutes to Winston-Salem. Always a delightful community, Lewisville has evolved with tree lined sidewalks down Shallowford Road, the main thoroughfare, with one stoplight and 2 traffic circles at the 421 bridge and has several public parks to offer the community. Lewisville is defined by it’s sweeping rural landscapes that are stunning and comfortable for those looking to escape city life. More than 250 years ago the Yadkin River between what is now Shallowford Road and Courtney-Huntsville Road, was occupied by Indians who farmed the bottomland and fished in the river. By the mid 1700’s, Europeans had begun settling in the area. 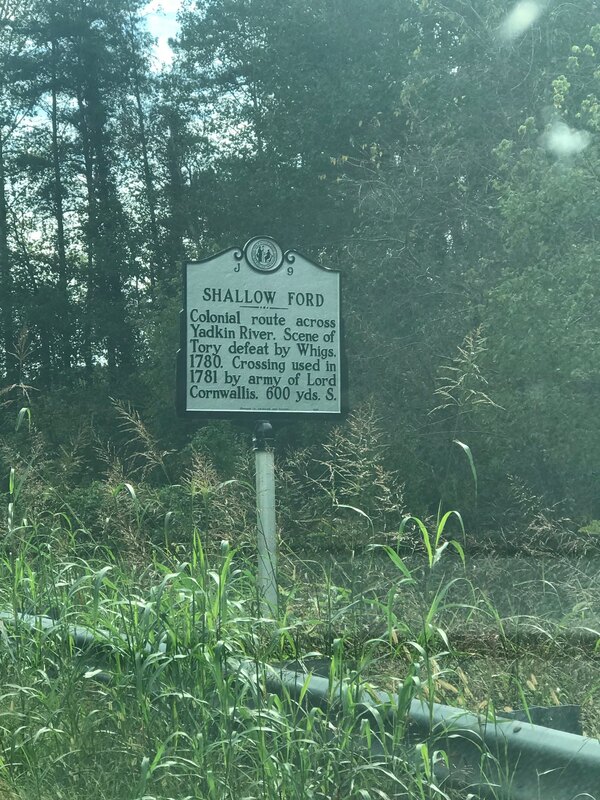 Shallow Ford was a spot in the Yadkin River named for a solid rock base and water level that averaged less than three feet deep. This made it ideal for wagons, stagecoaches, and army cannons to safely cross the river. 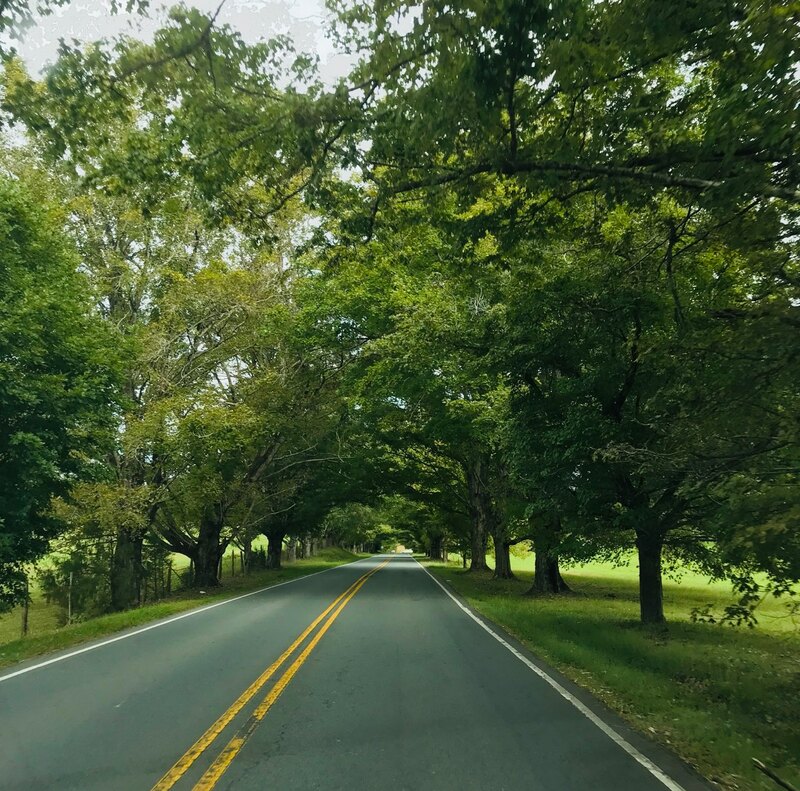 Settlers in the area finished cutting the roads on both sides of the Yadkin River at Shallow Ford, completing the Great Philadelphia Wagon Road in 1754. Located on Conrad Road as featured in Our State. A true treasure to drive under no matter what the season! 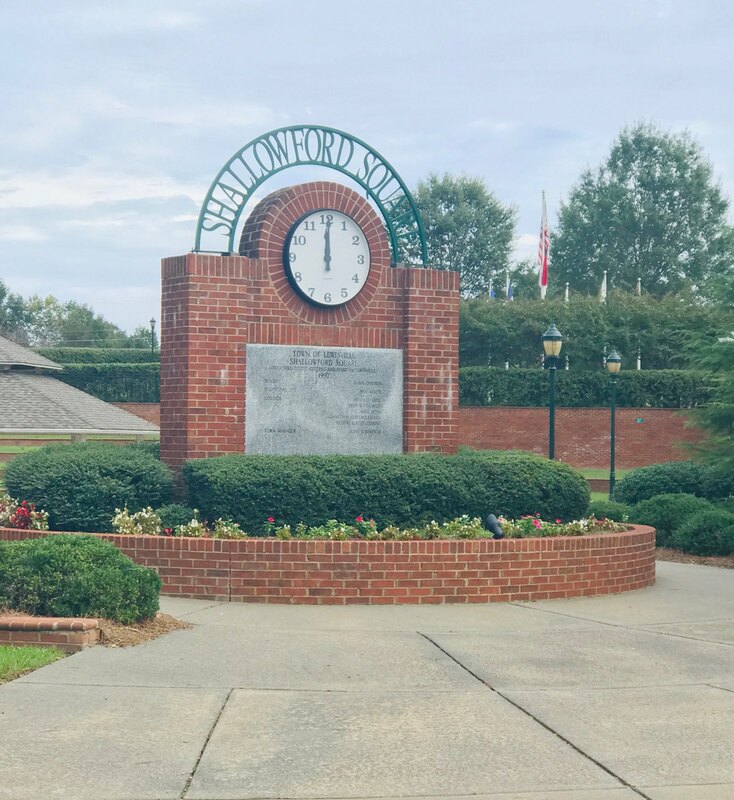 Shallowford Square – Family movie nights, concerts under the stars, street parties with food trucks, plays and musicals, and holiday specials including the 4th of July Fireworks which is one of the Piedmont’s largest and best displays. Jack Warren Park – 15 acre park with walking trail, playgrounds, and large pavilion. Westbend Winery & Brewery, Tasting room, hosts public social gatherings and events. Medaloni Cellars, Tasting and tours, cabin rentals and events. Old Nick’s Pub, Play pool, darts, and foosball with freshly-made cocktails! You will also find the convenience of banks, gas stations, grocery shopping, drug stores, doctor and dental offices. Along with Lewisville Laser & Aesthetics, hair, nail salons and spas.. Whether you are looking for a small cottage or ranch, a condo or townhome, a friendly subdivision, a large residence with acreage or a home in between, it’s all here! Home to nearly 13,000 with a median sales price average of $200,000. There really is something for everyone in this suburbia setting without being too far away from the city! I love it here! Lewisville will always be my home!